Man with a Truck Melbourne is the most reliable and a highly recommended removals company. 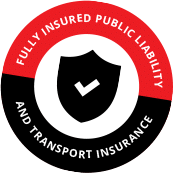 We have been helping residents and commercialism in Melbourne to relocate their luggage safely. People appreciate our cheap removal services when they get exceptional support at an affordable cost. 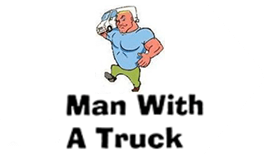 Man with a Truck specializes in both local and interstate moving. Whether you are relocating your house or office, our support is always available. Being an affordable removal service provider, we have never compromised with the quality. Our team knows what the clients expect and it does the job perfectly. Providing the clients with cheap removal solutions is not easy. Other companies are increasing their rates because of growing fleet maintenance costs and fuel prices. We are capable of offering cheap moving solutions because by operating in bulk. It prevents us from compromising with the quality and offer flawless moving solutions. Man with a Truck has established a wide network across Australia to reach every corner of the country. Our team is familiar with each region of the country and knows what it takes to move the luggage safely across the required region of the country. We provide quick and effective support whenever hired and that’s why clients admire our services. When you will compare our services with other cheap removal companies, you will find our team more experienced and reliable. Our movers are well-trained and they know what it takes to move fragile appliances, devices, expensive furniture and other luggage safely to the destination. Our top skilled movers rely on top-condition trucks to offer flawless truck removal Melbourne services. The entire luggage you own will be packed by our team to ensure maximum safety. No damage will occur while moving and you will get everything shipped safely to your new location. Along with offering residential and commercial removal solutions, we also offer our services for builders waste removal in Melbourne. We have a team of highly experienced movers which will collect all the waste produced during construction and move it safely to the desired location. That’s how we operate at very affordable costs. You will not find any other movers company as reliable and experienced as we are. So, contact us now and share your requirements regarding moving. We will make moving an enjoyable process for you, your employees and family members.